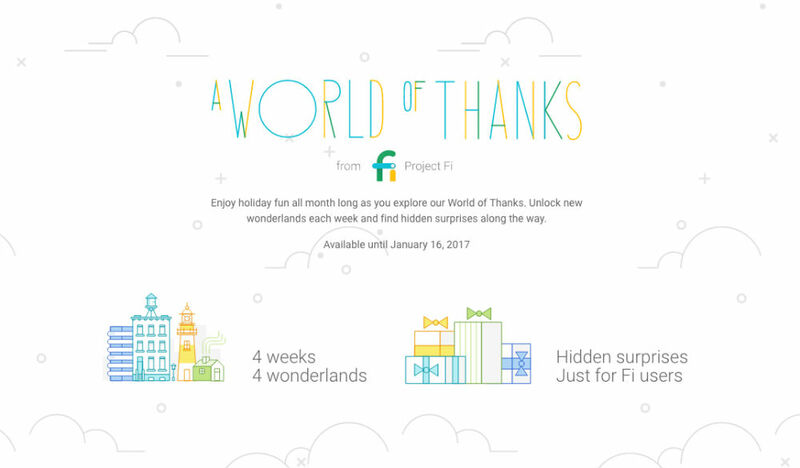 Project Fi is in the gift-giving mood this holiday season, treating customers to surprises each week leading up to New Years. This week, as mentioned to us from a few reader emails, Project Fi is handing out $10 Google Play gift codes for use on apps or whatever, with more goodies to come. As described by Fi, the company will have 4 weeks with “4 Wonderlands,” each with hidden surprises just for Fi subscribers. If you are a Fi subscriber, you should have already received an email, or a notification from the Fi app for your promotion code. Have fun in your Winter Wonderland, Fi subscribers.